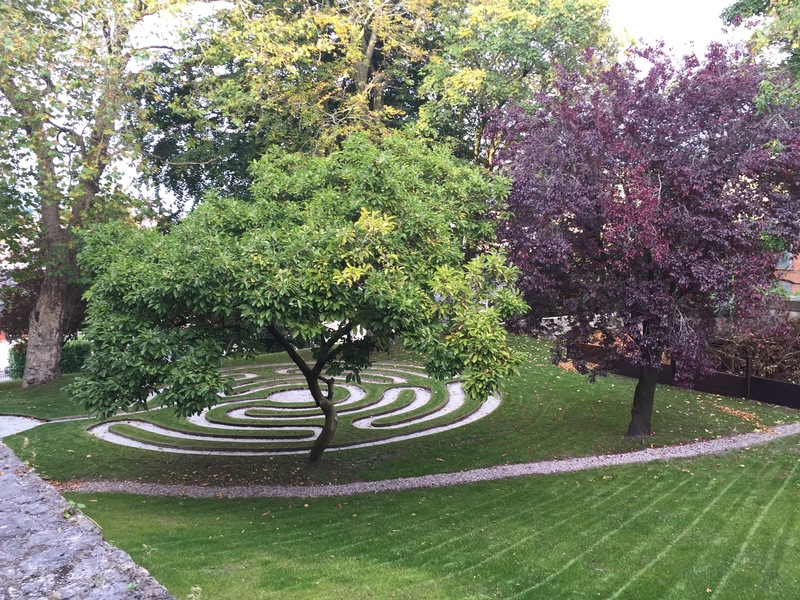 Next Monday (19th October 2015) at 5.30pm, The Bishop of Cork, Cloyne and Ross, the Right Revd Dr Paul Colton will dedicate a new labyrinth which has been installed in the southeast corner of the grounds of Saint Fin Barre’s Cathedral, Cork. It is intended to be used for prayer, meditation and contemplation for pilgrim and tourist alike. The new Cathedral Labyrinth in the grounds of Saint Fin Barre’s Cathedral, Cork. 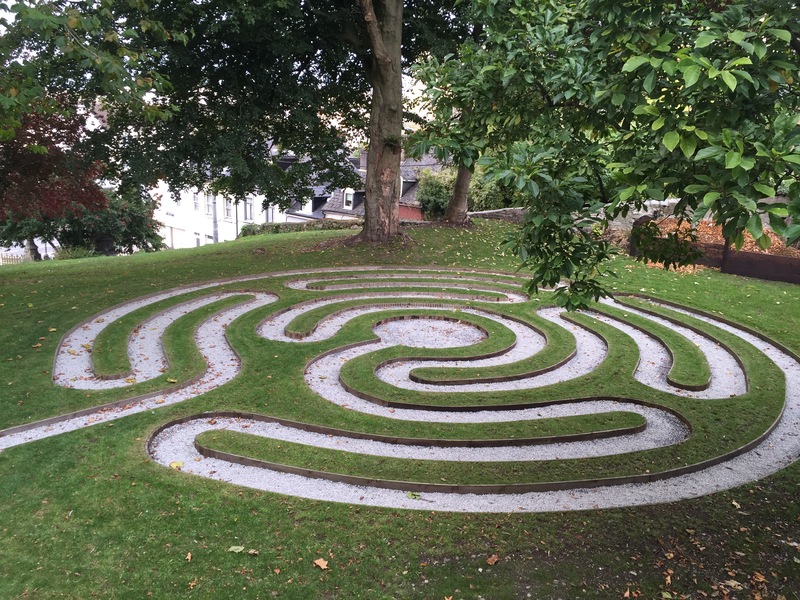 The Cathedral Labyrinth is a single, winding path, without branches, that leads to a centre. Unlike mazes, where choices of direction have to be made and it is impossible to see the end of the journey, labyrinths offer no choices and lead to a central goal which is visible at every stage of the journey. The new Labyrinth at Saint Fin Barre’s Cathedral, Cork. The first labyrinths date to around 4000 BC, appearing on rock carvings and paintings around the world. In Greek mythology the labyrinth was an elaborate structure built to hold the mythical creature, the Minotaur. By the twelfth century labyrinths, centred on the shape of the cross, had become popular in cathedrals and churches across Europe. Known as “Roads to Jerusalem’, they were often substituted for pilgrimages to the Holy Land at times when a journey to Jerusalem was too dangerous to undertake. The most famous of these, the Chartres Cathedral labyrinth in France, dates from about 1200 AD. With eleven circuits, it is probably the most walked labyrinth in history. The Saint Fin Barre’s Cathedral labyrinth is based on this design. There are no hard and fast rules about using a labyrinth. Labyrinths remain enigmatic and mysterious and are better experienced than explained. Visitors to the Cathedral can walk the labyrinth whilst praying, considering a problem, meditating, repeating a sacred word, using prayer beads or without any clear intent. Those who are involved in Mindfulness may find the labyrinth of particular use to them. It takes approximately ten minutes to complete. This entry was posted in Cathedral, Cork, Diocese, Labyrinth, Spirituality. Bookmark the permalink.